N.E.mation!, I have been following and supporting N.E.mation! for the past editions, from N.E.mation! 6 till N.E.mation! 9 today. This is my fourth year following and supporting N.E.mation! and I am really looking forward to continue supporting the N.E.mation! movement! 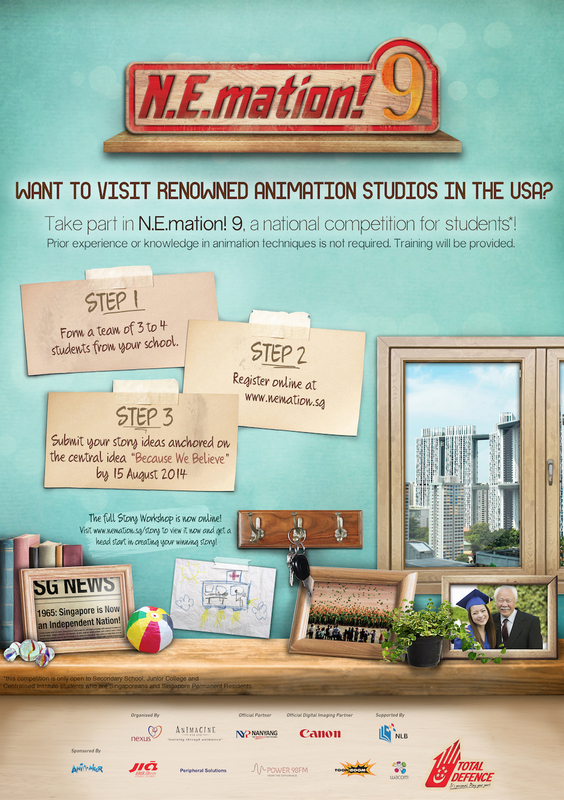 Let me share with you briefly about N.E.mation!, it is a digital animation competition organised by Nexus for youths to express their thoughts on National Defence. I have seen N.E.mation! grew over the past years and it is getting bigger and better, with more than 11,500 students participating since its inception in 2007. N.E.mation! 7 – N.E.mation! 7 is back! and N.E.mation! 7 Watch, Vote & Win Prizes! N.E.mation! 8 – N.E.mation! 8 Are You Ready to Kick-Start? , A Visit to N.E.mation! 8 – The Making of Adventures and N.E.mation! 8 Watch, Vote & Win Prizes! Form a team of 3 to 4 students from your school. Submit your story ideas on the central idea (Because We Believe) by 15th August 2014. Do not worry too much if you have no experience in digital animation, training and guidance are provided! If you need help to get the creative juice and story telling to flow, you can visit and view the Free online Story Workshop at http://nemation.sg/story/ ! Having watched the digital animation production clips from the past few seasons, I have seen for myself amazing quality digital animation productions by students with no prior experience in digital animation during the past seasons that I am following and supporting! As Singapore is now taking the steps into her milestone jubilee 50th year in 2015, the theme for N.E.mation! 9 Central Idea – Because We Believe fits perfectly to celebrate Singapore’s 50th year. This special theme for N.E.mation! 9 resonates with me because I have been exploring, documenting and photographing Singapore’s Old Places, history, heritage, culture, conservation and preservation for the past few years. As Singapore approaches our 50th year, it’s an important landmark and milestone for all Singaporeans as we look forward into the future and beyond. The pioneers who built Singapore today believed in the vision to build a strong, secure and cohesive country. Today, as Singapore approaches her 50th birthday, it’s time to reflect values, principles and convictions to continue the growth for the future of Singapore, to shape Singapore into the Home that we want it to be for our future generations. Not only are there attractive prizes to be won, the learning and journey in N.E.mation! is going to be interesting and exciting, the experiences and journey can even become priceless and invaluable lifetime experiences. 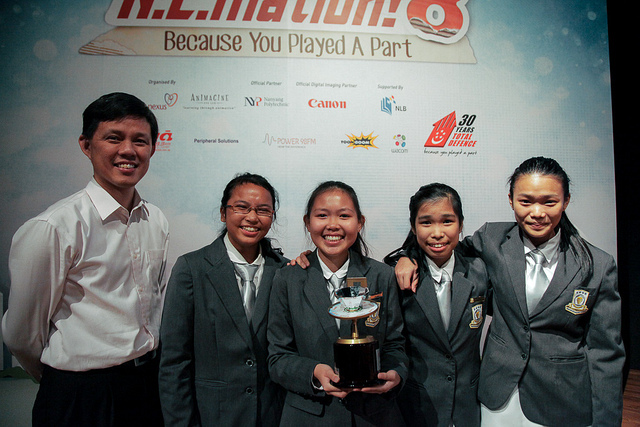 Gather your classmates and school mates, time to register for N.E.mation! 9 and give it a go! Good luck to all participants at N.E.mation! 9 and I hope to see you there! Take Note! Deadline for story submission is on 15th August 2014 ! Below are a list of information, resources and links for N.E.mation! 9 that might be useful for you!